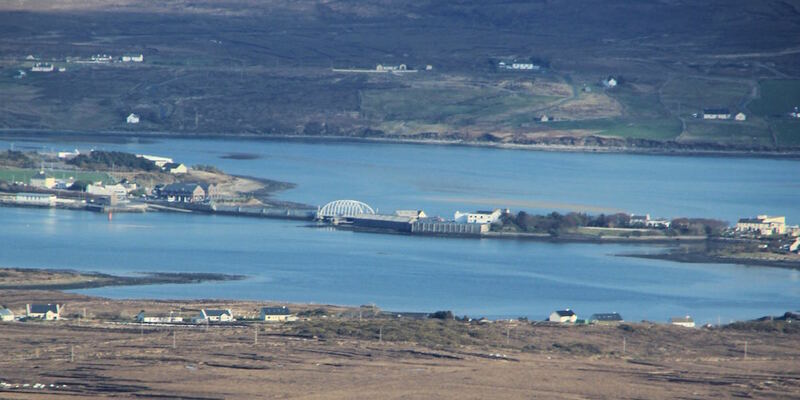 The Michael Davitt Bridge connects Achill Island with Ireland’s main island. The christening of our granddaughter brought us to Ireland’s biggest island that we got to know and learned to appreciate at this occasion. 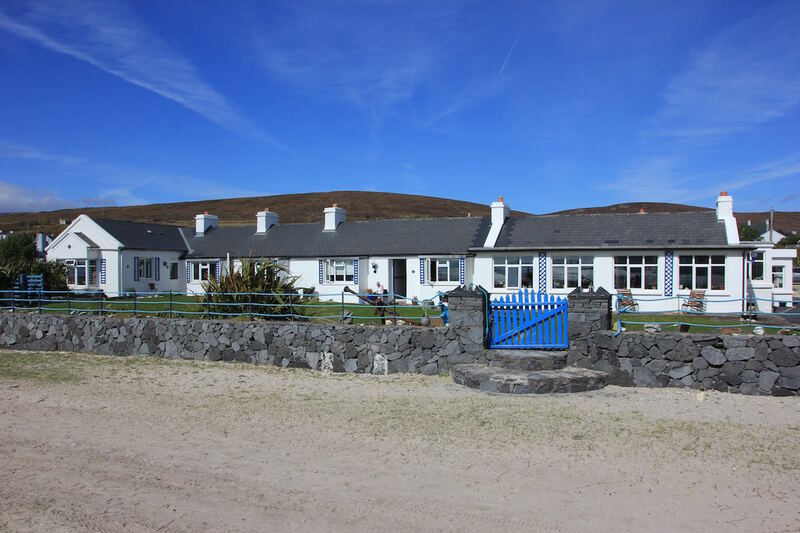 As my wife and me have neither been to Ireland nor to Achill Island before, we booked ourselves into the Bervie, a very special and beautiful spot directly located at the beach in Keel. 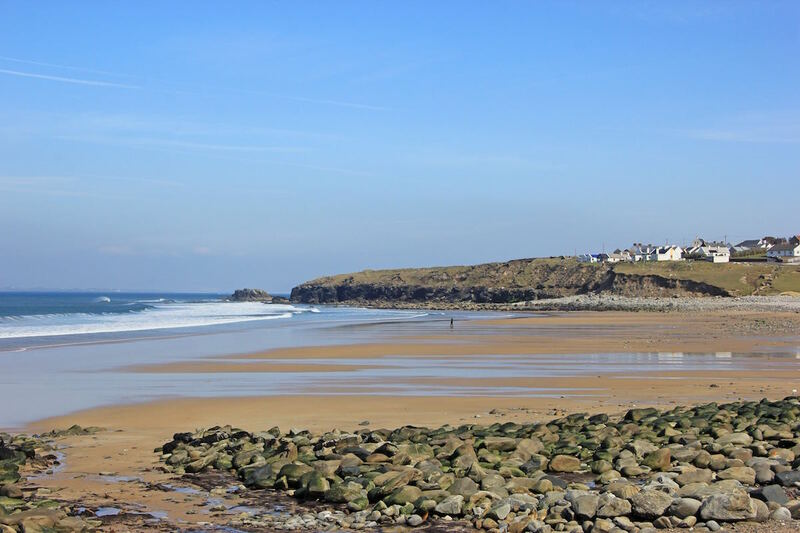 The single buildings of the estate once formed a coastguard station that John and Elizabeth Barrett transformed into a marvellous guest accomodation. 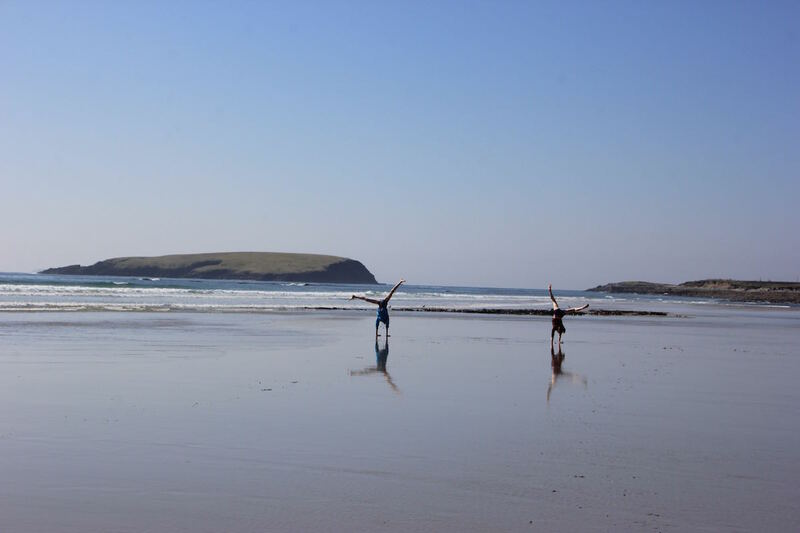 Its special location made us feel very free and directly connected with the Atlantic Ocean. It was also the ideal spot to start our excursions on the island. 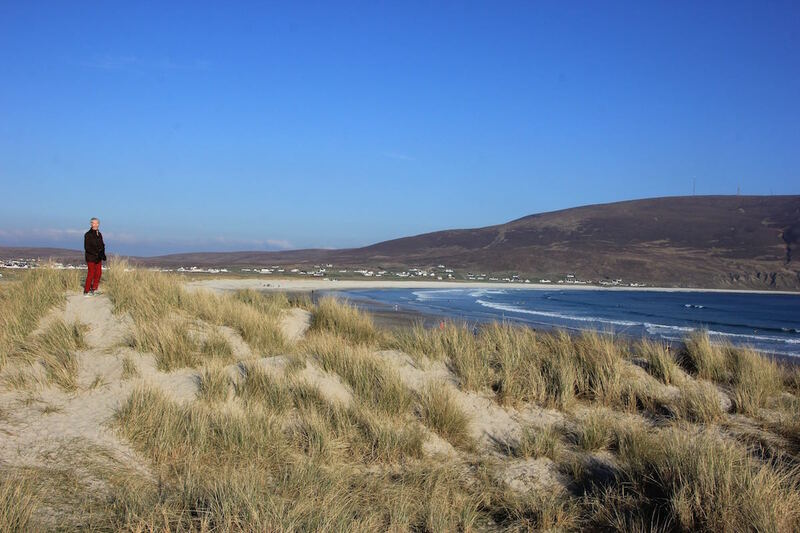 The Bervie is directly located at the big wide beach of Keel which is perfect for long walks. The garden of the Bervie offers a fantastic view on the Minaun. We enjoyed our first day after the family celebrations in the Bervie and its surroundings. Our first walk led us along the beach where we experienced a wonderful bay. 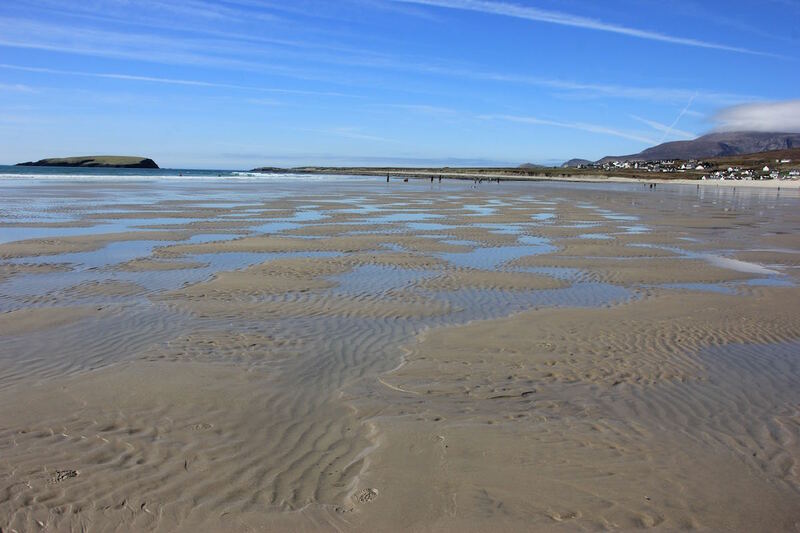 The wide beach with its very fine sand called Trawmore Strand draws a beautifully shaped curve over 4 kilometres and connects the villages Keel and Dookinella. It is very popular among kitesurfers that are attracted by the waves of the Atlantic. The spacious Trawmore Strand between Keel and Dookinella. Lots of space for sports and recreation. We walked along this lovely beach for hours during low tide as well as high tide because the shallow bay changed itself again and again and revealed fantastic views. 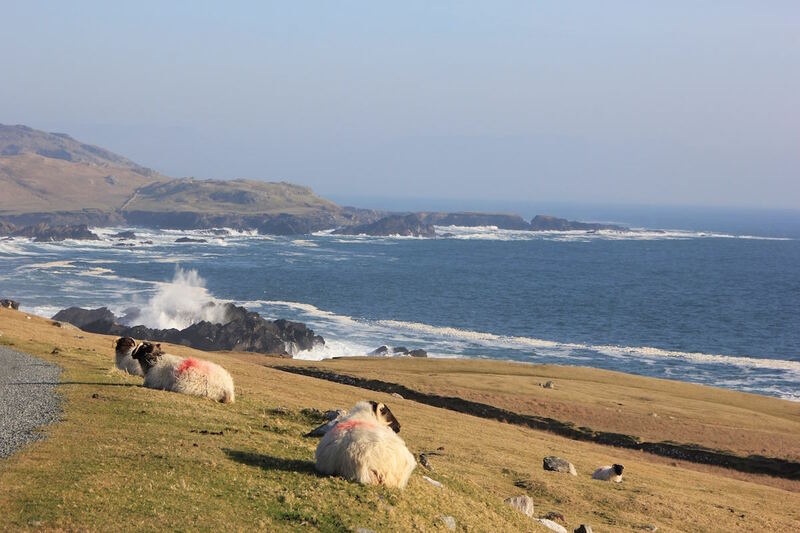 After we got settled in our guest accomodation and the beautiful beach of Keel, we went on our first excursion to the Northern coast to Dugort. First, we visited the Deserted Village that lies at the bottom of the Southern slope of Slievemore. It consists of almost a hundred traditional cottages that – in the 20th century – were inhabited in the summer by shepherds who pastured their flock on the slopes of the mountain. 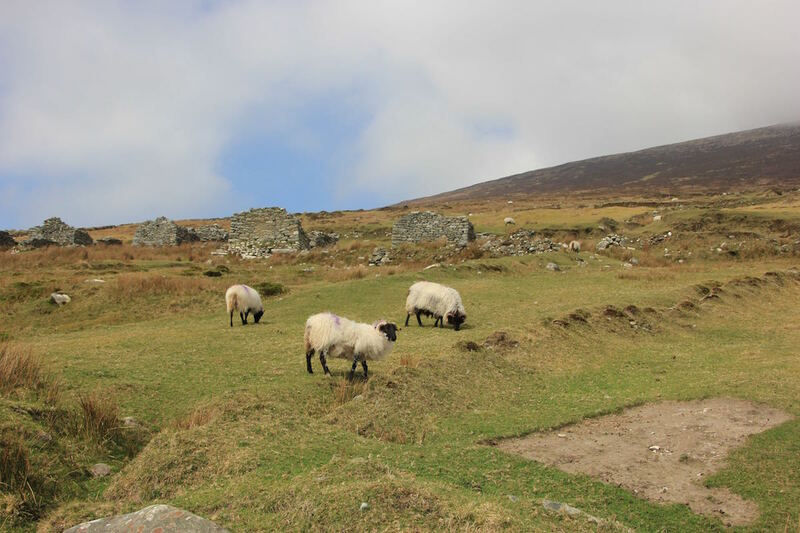 Today sheep are grazing between the remains of the former cottages. Only a few minutes later we reached Dugort and marvelled at the spectacular view on the Silver Strand. 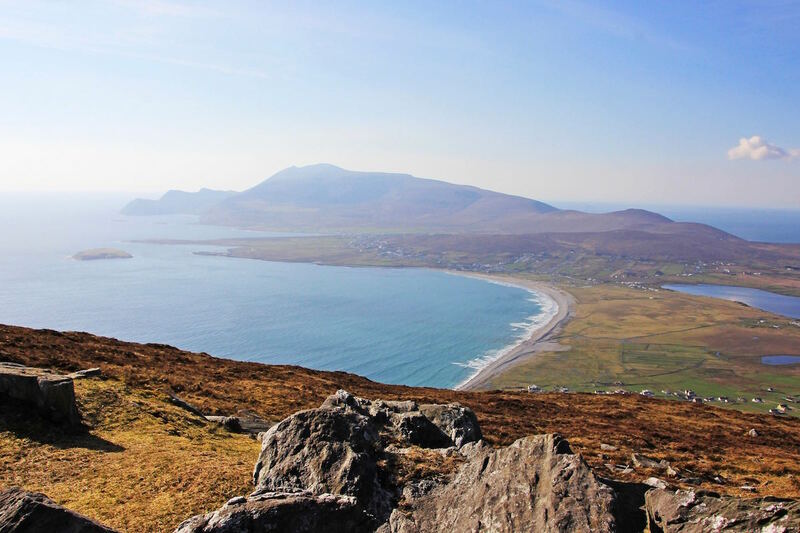 The western shore of the Silver Strand is overlooked by Slievemore, the highest mountain on Achill Island with its 671 metres. What a spectacular view! The day after, we went to see a special highlight: Keem Bay. 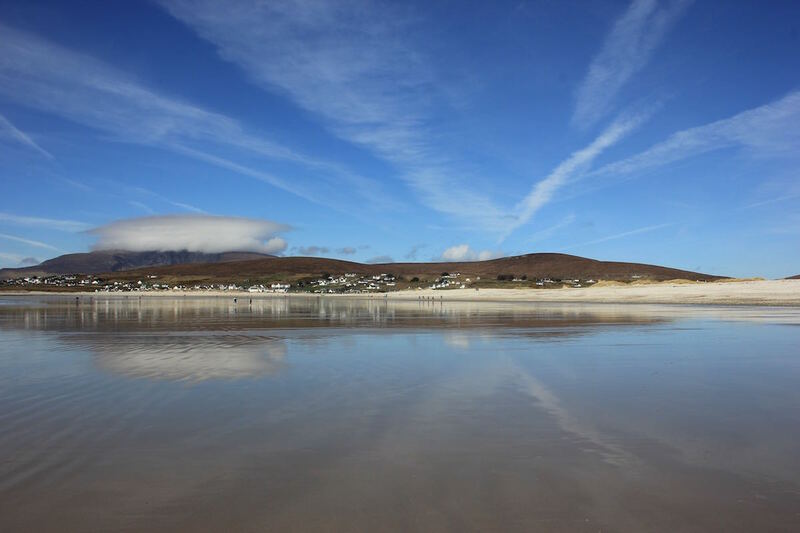 The travel guides describe it as one of the most beautiful beaches in Ireland. 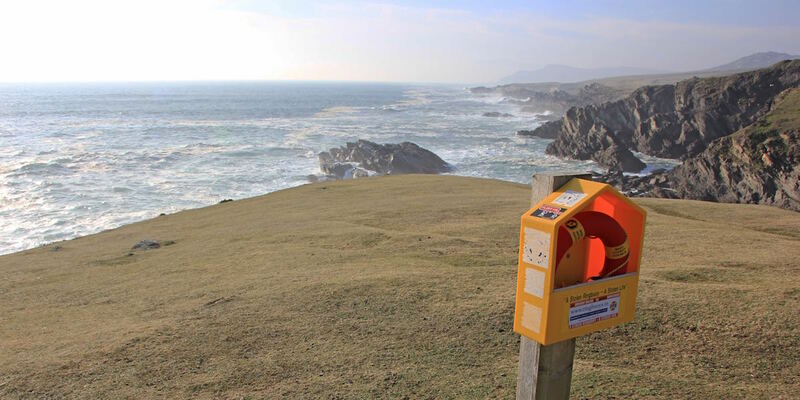 You can reach it from Keel by following a winding coastal road. 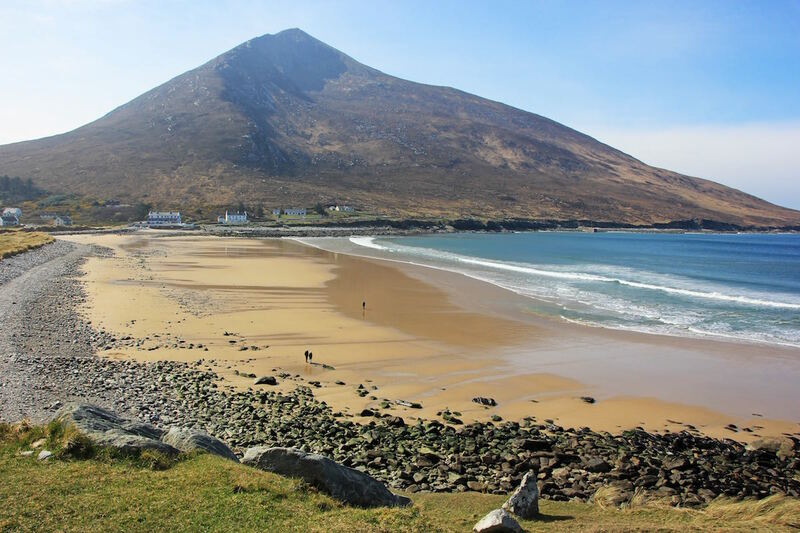 The wonderful sandy beach is framed by cliffs, in the east by the slopes of the Croaghan, Achill Island’s second highest mountain with its 668 metres. This place is also the most western point on the island that you can reach by car. 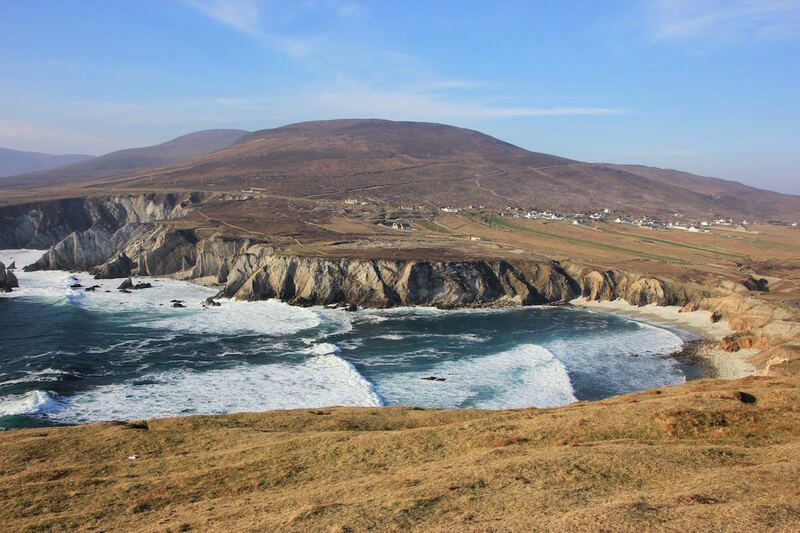 There is a 1.5 kilometres long and breathtaking trail to Achill Head. 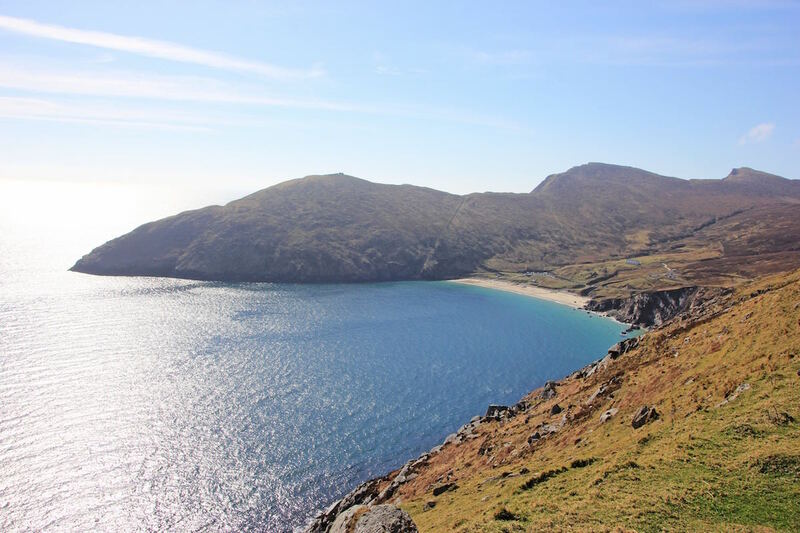 If you approach Keem Bay on the road, you can enjoy spectacular views on this hidden bay. 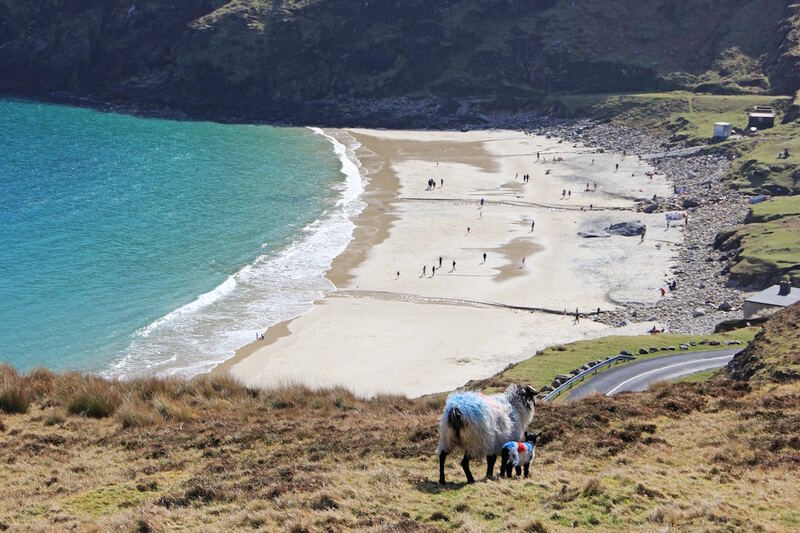 On the fine sandy beach you always meet visitors who enjoy this very special place. 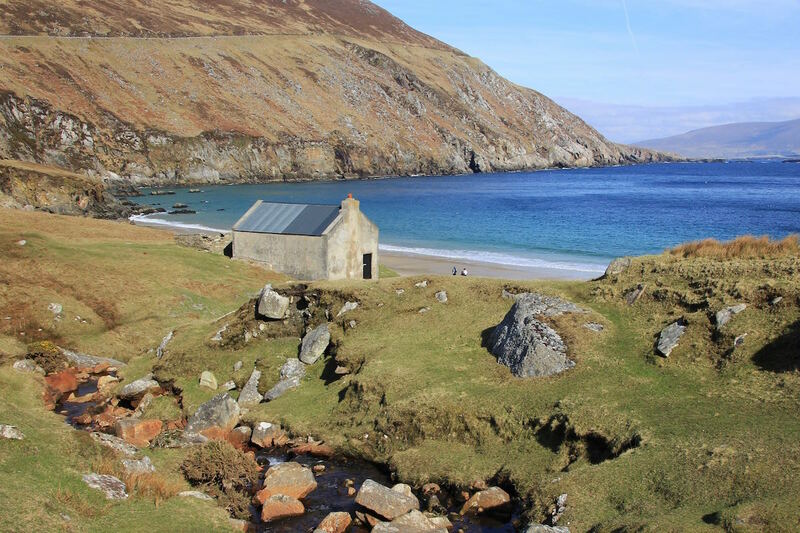 Keem Bay used to be the centre of shark fishing on Achill Island during the 50s and 60s. The cottage by the bay is the only witness of this past. 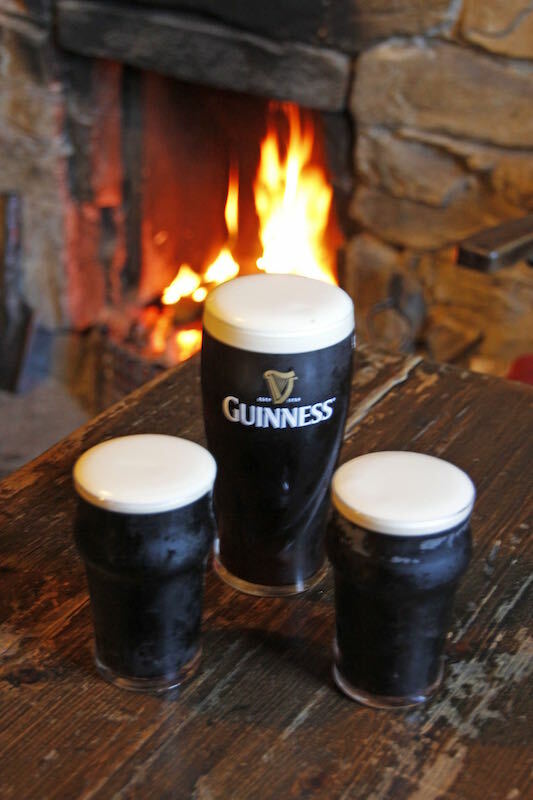 After we returned to the Bervie, we reflected on the wonderful moments of the day with a good drink by the fire. The spectacular view from the Bervie on the bay and the cliffs in the East motivated us for another excursion. The Minaun invited us with its 466 metres to very interesting views over the entire island. We went by car to the transmitter mast. From there it’s only a few steps until you can enjoy superb perspectives in all directions. 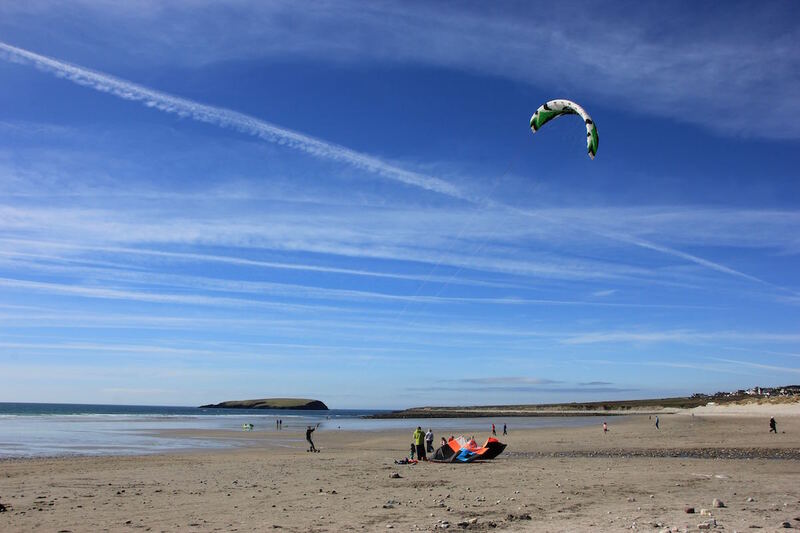 From almost 500 metres altitude you have an impressive view over Trawmore Strand and the West of the island. The white houses look like radiant flowers on fresh green. 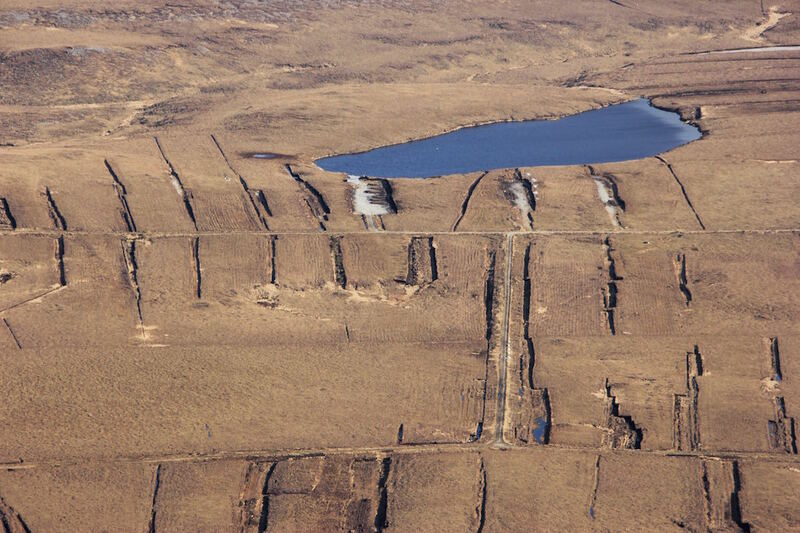 Bog covers more than 80% of the island. 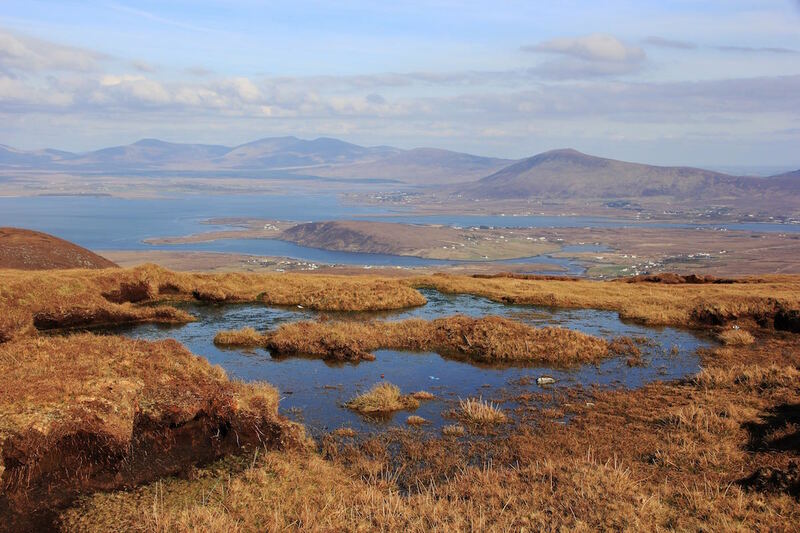 Even on top of the Minaun you can find bog that is so typical of Achill Island. 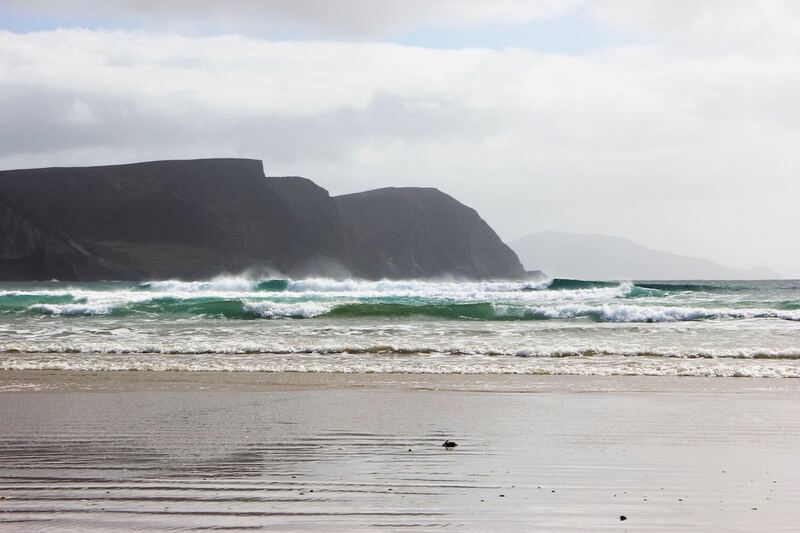 The days on Achill Island passed by too quickly with all these wonderful experiences. The weather was really good to us during this week. We saved a very special trip for our last day: The breathtaking Atlantic Drive. This spectacular road lead us around the southern part of the island. 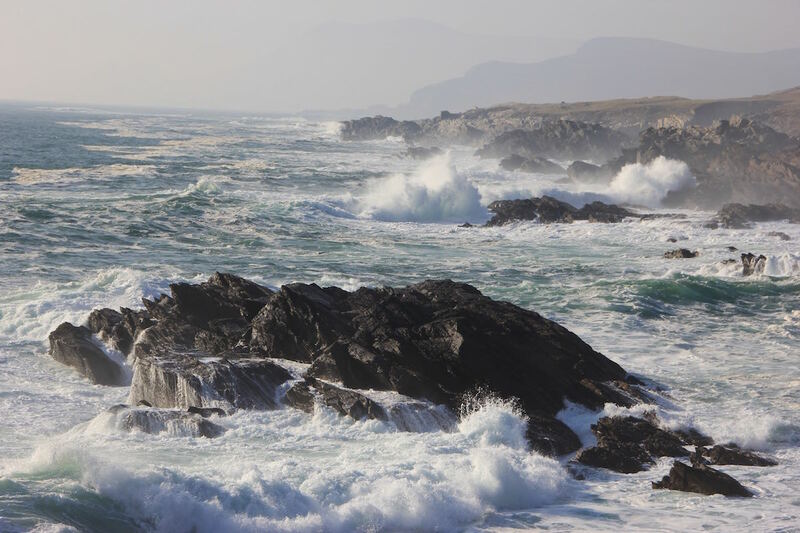 Suddenly, the quiet waves at Achill Sound were replaced by the rough waves of the Atlantic. It is fantastic and moving to feel and observe this force for a longer time. This energy crushes against the rocks 24 hours a day. Unbelieveable! On our way home after some very special stops along the Atlantic Drive, we were invited by an old sign to Lynotts, a very authentic Irish pub. And guess what we had there? 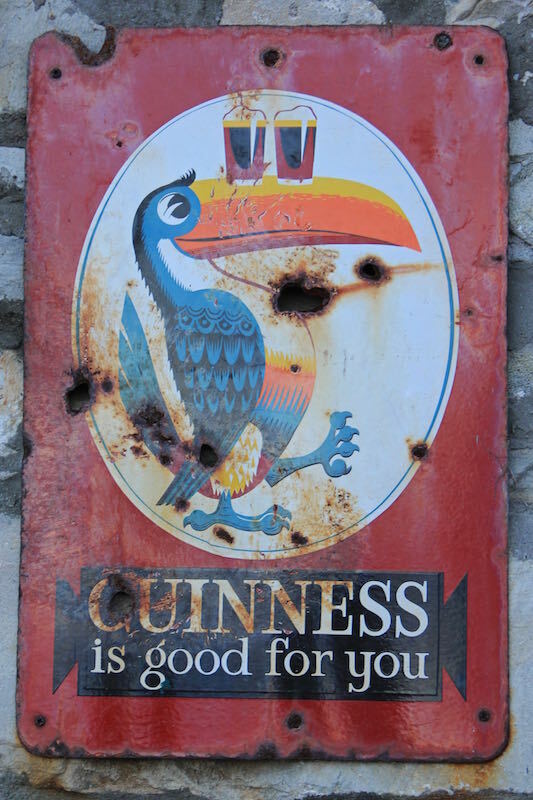 A refreshing Guinness of course. 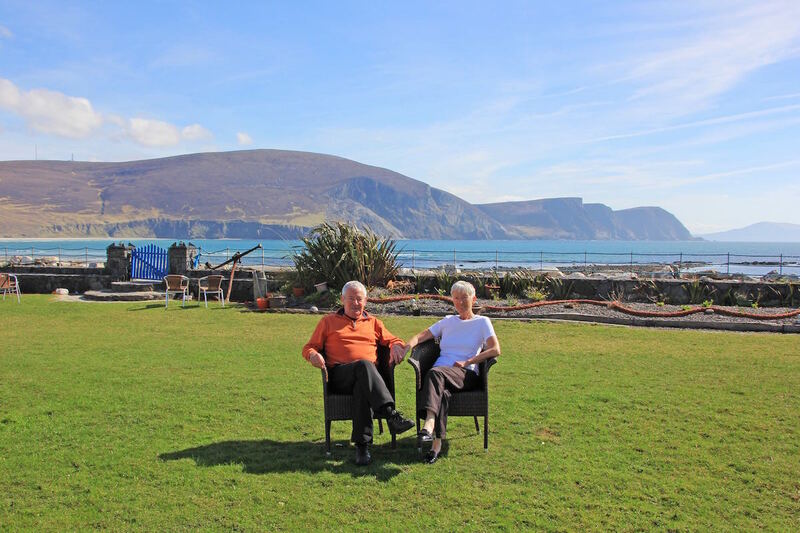 We felt very comfortable on Achill Island, this wonderful island in the West of Ireland. what a beautiful compilation of Photographs. 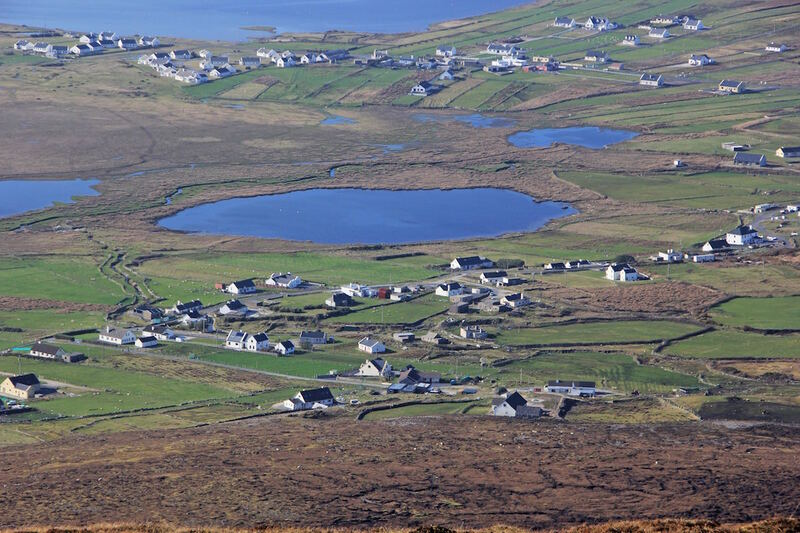 The week that we spent on Achill Island and with you in the Bervie were fabulous.